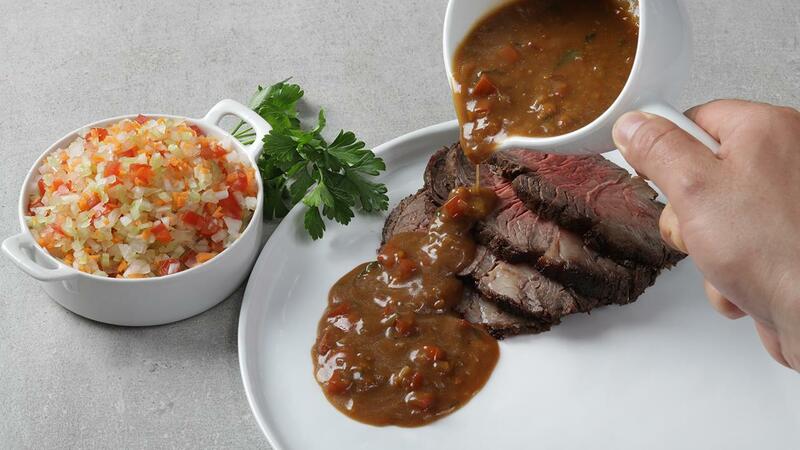 This gravy is created with many fresh ingredients to represent the country style of cooking dishes. Savoury, fresh and packed with flavours that work well with roast beef. View the recipe below. Sauté onion, carrot, celery, peppers in butter and garlic, until golden and soft. Prepare Knorr Brown Gravy Base with water, once thick add to sautéed vegetables. Add tomatoes and fresh rosemary before adding cream for richness.